We offer secure online through an official payment gateway. 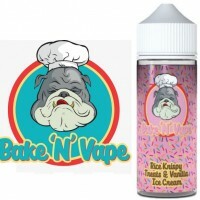 Using E Liquids means reordering when you are getting low on your favourite flavors. Ordering is simple, with one click payment. Please keep using us,to keep the great deals. Do not try to purchase any products from this site if you are under 18 Do not buy on behalf of a person under the age of 18. Do not encourage those who do not smoke to vape. Electronic cigarette are for adults 18 or over. Postage is via Royal Mail for UK and International deliverers. Next day delivery is expected but not guaranteed. We don't want you to run out of your e-liquids, so please order a couple of days in advance, so that, you always have a bottle to hand. 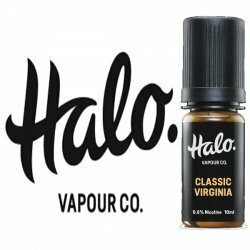 All products and e-liquids are all guaranteed. Sourced from only approved manufactures. 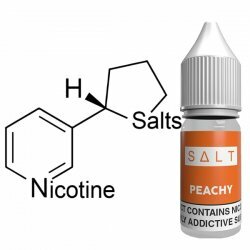 You can be safe in the knowledge that you will be purchasing the safest e-cigarette products on the market Always Vape Safe. The Aspire Breeze 2 is an updated version of Aspire's popular Breeze Kit, featuring an AIO (all-in-one) design, pod-style tank system and a range of n.. The Aspire Breeze Kit is an All in One (AIO) that has a compact size and has a 2ml capacity within the built in, refillable tank. This is a perfect e-..
TPD/TRPR Compliant - Another quick start kit from Aspire, the K3 features a much larger battery capacity and tank size compared to the K2, another ide.. The Eleaf iJust 3 kit, a new upgraded version of iJust series, is more gorgeous looking than ever and boasts all-new reimagined Net and Multihole coil..
Joyetech set out to create an e-cig that is truly different, they achieved this with the Joyetech eGo AIO ECO. The features that make this e-cig speci.. Designed for flavour, the Joyetech EXCEED Box has a 3000mAh integrated battery, accurate battery indicator, two output modes and comes kitted with the..
Be sure that your Mi-pod fires at peak performance with a pack of 2 x refillable pods. These refillable pods feature Kanthal wrapped internal wire a b.. Designed for the Joyetech TEROS pod e-cig, these spare cartridges feature a fitted, non-removable atomizer head, 2ml e-liquid capacity and easy refill..
Ultra slim with a soft touch finish and unique refilling system, the Eleaf iCard is not your conventional e-cigarette.This pocket-friendly design is p..
Showcasing the renowned Joyetech build quality, the TEROS e-cig kit is compact, robust and versatile. Utilising ECO technology for longer battery life.. The Suorin Air is manufactured with an excellent build quality and exacting tolerances which provide a rarely matched level of reliability and durabil.. The Mi-One is a pocket sized AIO (All In One) vape kit, from the makers of the Mi-Pod. This is one seriously compact device, with a 2ml capacity and o.. The Mi-Pod is a super compact innovative electronic vapour starter kit with 2ml E-Juice capacity and a custom-made 950mAh built-in battery. Featuring .. Being cool and smooth, the Joyetech ATOPACK PENGUIN is really an attractive compact electronic cigarette with the most penguin-like appearance ever. T.. The Eleaf iStick Pico S TC Kit is a new member of iStick Pico family. Powered by a single 21700 cell, the iStick Pico S fires a maximum output of 100W..
LUXOTIC NC, a new member of LUXOTIC series, is another masterpiece designed by JayBo. Compatible with dual 18650/20700 batteries, LUXOTIC NC devotes t.. The Wotofo Flux kit is one of the newest kits on the market and is a collaboration between Wotofo and Rig Mods. The Flux mod is a 200W TC box mod and ..
A smart looking squonk kit, featuring the ever popular Druga RDA! With the matte black mods, with a similar finish to that of the Asmodus Minikin 2, a.. Featuring the intelligent fire button, it can lock the switch safety. With the Copper contacts (no wires), it can directly connect from the switch to .. The Stentorian Basilisk 200W TC Box Mod presents a striking and unique design with modern performance capability, utilizing high-quality dyed resin ch.. Differing from the conventional e-cigs, SINUOUS RAVAGE230 impresses us with its 1.45inch large colour display and updated centred 510. Powered by dual.. The Vandy Vape Pulse 80W BF is a bottom feeding squonk box, designed to be used with a Bottom Feeding RDA (Rebuildable Dripping Atomiser) only. This v.. The ARC 240w box mod is a high-end box mod created in collaboration between USV and Vo Tech! A high-performance box mod made from high-end lightweight..
Sleek and built for agility, comfort and speed, the REV Sport is a beautiful multi-purpose MOD that will support your vape life in any event. With int..
Supreme luxury, HD screen and beautiful ergonomic design, the REV GTS is the Grand Tourer of the REV range. The phenomenal menu system gives you optio..
Reuleaux RX2 21700, the newest member of Reuleaux family, is compatible with 21700 batteries as well as 18650 batteries. Equipped with dual optional h..
Creativity is nothing but a mind set free. Explore the limitlessness of the ESPION Infinite. Having a set of tunnel light effects, it reacts to each a..
DOVPO TRIGGER is a device that focused on user experience as well as performance. With the individual "SET Button" and super sophisticated drop-down m.. The Aspire Zelos 50w mod is a compact, sleek, user-friendly mod that will satisfy all mouth to lung vapers. With its built-in 2500mah lipo battery, it.. Aspire brings you yet another great new powerful mod, following on from the success of the Speeder, we now bring you an even more powerful, more up to.. The Minikin is back with the all new Minikin 2! The Minikin 2 is powered by a GX-180-HT chip which incorporates the same battery power saving capabili.. The Asmodus Lustro 200W Vape Mod takes all the great design principles of the previous Asmodus models, but now includes a new intuitive interface. It .. Pack of 5 genuine replacement 1.0 Ohm coils for the Aspire Breeze 2. The box comes with a scratch panel so you can verify the authenticity on the manu.. The Mi-One AIO Replacement Vape Coils are designed for use with Smoking Vapor's Mi-One Kit, available in a sub ohm resistance of 0.6Ω, but are designe..
JustFog Minifit Replacement Pods features 2ml capacity and a 1.6ohm coil. 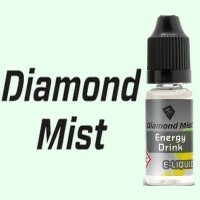 Features: E-Liquid Capacity: 1.5ml Resistance: 1.6ohm Size: 21 x 15 x 28mm .. Replacement coils for the Smok Stick AIO Kit. Rated at 0.23 Ohms. Pack of 5. .. Replacement coils for the Smok Vape Pen 22. Rated at 0.3 Ohms. Pack of 5. .. The Suorin Air Replacement Cartridge is for the sleek, discreet, and covert card style vaporizer. With a 2ml capacity and a resistance rating of 1.2, .. The newly added BFHN 0.5ohm coil head is now optimized for use with high nicotinE-Liquid. It supports mouth-to-lung inhale. The injection of high nico..
Having the new ProC-BFL series head, it provides a more restricted draw for mouth to lung and direct lung vapers and pretty soft flavorful clouds. It .. The Aspire Breeze coils are for use with the Aspire Breeze Kit and are available in 0.6Ω resistance. 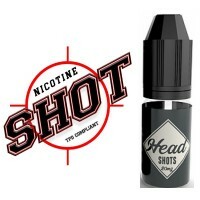 Contents: 1 x 5 pack of Breeze Atomizer Coils F.. The Joyetech Exceed D19 Sub-Ohm Tank Replacement Coils are innovative replacement coils that allows users to choose whether or not they would like to ..
A 5 pack of perfect replacement atomiser heads for the Nautilus X to keep you vaping and keep you vaping good, delivering fantastic flavour with every..
A pack of 5 BVC coils for Aspire Clearomisers, running at 1.8ohms. .. The Wotofo Flow Pro replacement coils come within a pack of 5 and have a resistance of 0.18Ω making these perfect for sub ohm vaping. The coils have a..
HorizonTech Falcon Head Coil is designed for HorizonTech Falcon Tank. There are the HorizonTech Falcon F1 Coil, Falcon F2 Coil, Falcon F3 Coil and Fal..
HW1 Resistance: 0.2ohm 40-80w (best 50-65w) Stainless Steel Coils for the Eleaf iJust Nexgen Kit. ..
Optimized for the perfect balance of vapour and flavour, this replacement coil also offers a plug and pull installation style making it quick and easy.. Pack of 3 replaceable coils for the LMC Hextron sub ohm tank by Limitless Mod Co. 0.5 Ohm replaceable coil 3 pack ..
Joyetech ATOPACK Penguin Replacement Coils available in 0.25ohm for the Joyetech ATOPACK Penguin. .. The Wismec WM Coils are replacement coils for the Wismec Gnome 2ml Tank. Available in packs of 5. Dual 0.15ohm (WM02) and Triple 0.2ohm (WM03). .. This is for a pack of 3 GT Core Coils for the NRG & NRG Mini Tank. GT 4 0.15 Ohm 30-70w (45-60w Recommended) GT 8 0.15 Ohm 50-110w (60-80w Recommen.. Replacement coils for the Aspire Atlantis Evo. Rated at 0.4 Ohms. Pack of 5. .. Replacement coils for the Aspire Cleito/Exo/120 tank. Pack of 5. Cleito coils rated at 0.2/0.27/0.4 Ohms. Cleito Exo & 120 Coils rated at 0.16 Ohms. .. The Aspire Athos Coils are for use with Aspire's Athos tank; also part of the Speeder Kit. The A3 features a triple coil design and is rated at 0.3Ω, .. The Aspire Athos Coils are for use with Aspire's Athos tank; also part of the Speeder Kit. The A5 features a triple coil design and is rated at 0.16Ω,.. Replacement coils for the Aspire Nautilus & Nautilus 2. Pack of 5. Nautilus 2 - Rated at 0.7 Ohms. Nautilus - Rated at 1.8 Ohms. .. The Aspire PockeX coils are to be used with the Aspire PockeX kit. These coils come in 0.6Ω resistance. The 0.6Ω coils would be ideal for direct lung .. Brand new, innovative, revolutionary “ARC” (Aspire Radial Coil). Aspire’s newest TPD compliant “Stove Top” Style coil. 0.10-0.16ohm. Compatible with t.. Replacement 0.75ohm natural cotton atomizer heads for the GS Air 2 Tank. These atomizer heads are simple to replace and work perfectly with the iStick.. The Eleaf GS Air atomizer head features two parallel 3.0ohm coils providing an overall resistance of 1.5ohm. Having coils in parallel increases the su..
Eleaf engineered a new atomizer head named ID 1.2ohm Head for the iCard. It consists of a single kanthal coil and tiny in size. Small yet efficient, t.. The replacement atomisers for Smok Spiral Tank feature large wicking holes to reassure no dry hits, organic cotton, and coming in different resistance..